Develop of landscape drawing is a complex process which requires great efforts and inspiration. 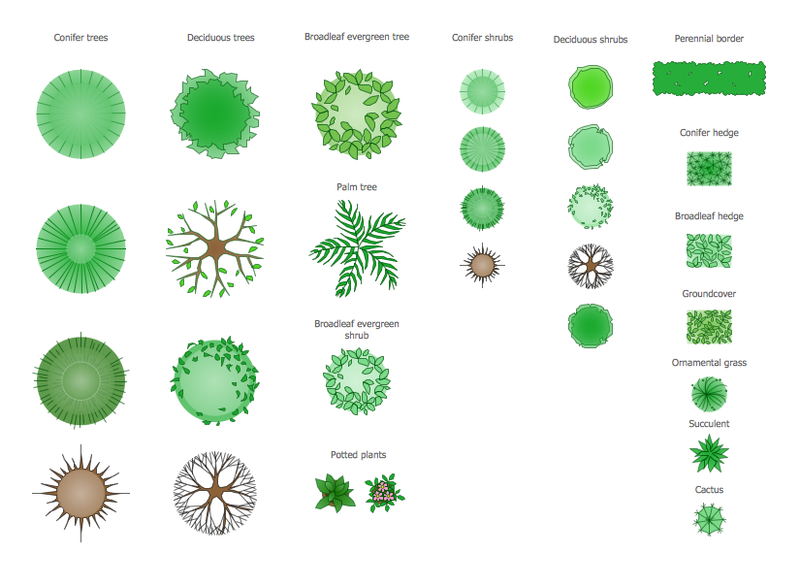 ConceptDraw DIAGRAM is a powerful diagramming and vector drawing software. 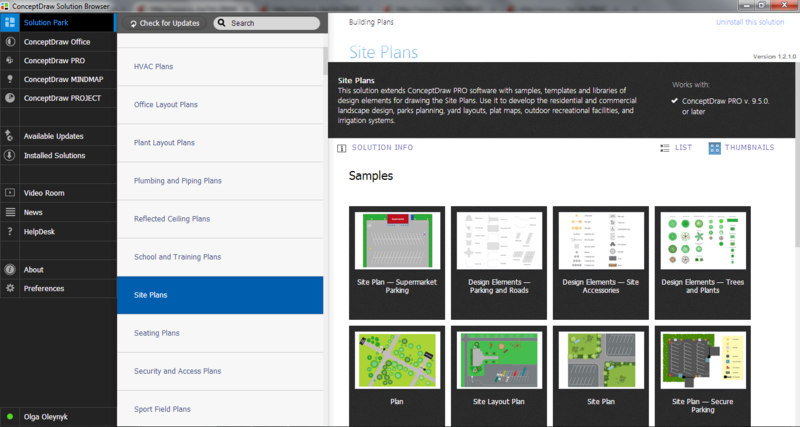 Extended with Site Plans Solution from the Building Plans Area, ConceptDraw DIAGRAM will help to make this process easier. 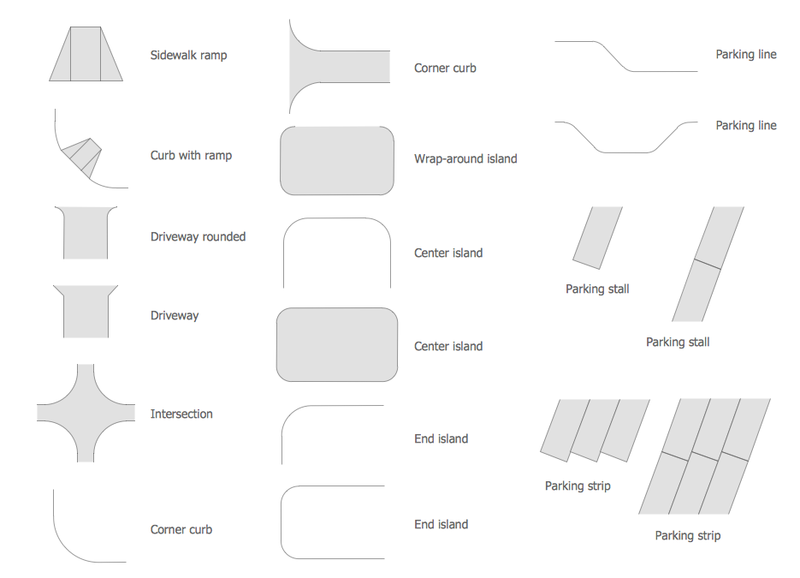 Site Plans Solution provides large quantity of professionally designed samples and templates which can become the inspiration or the base for your own site plans. 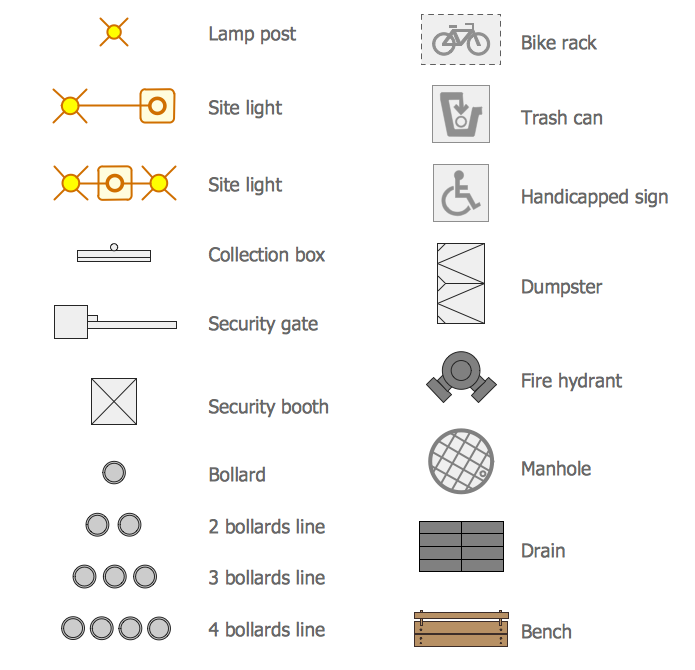 Click to preview how many objects they include! This sample was created in ConceptDraw DIAGRAM using the objects from the Site Plans Solution libraries. 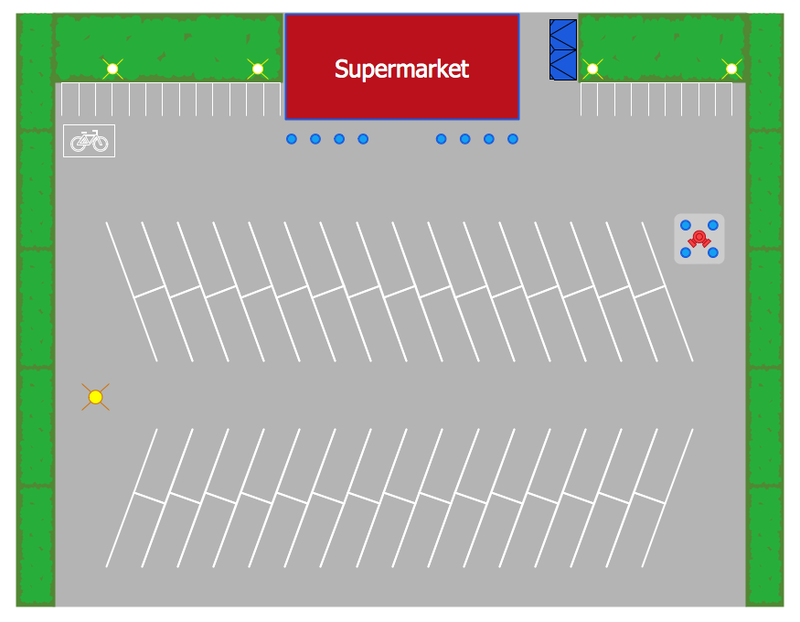 It shows the detailed drawing of a parking near the supermarket and the distribution of places for various types of transport. An experienced user spent 5 minutes creating this sample. 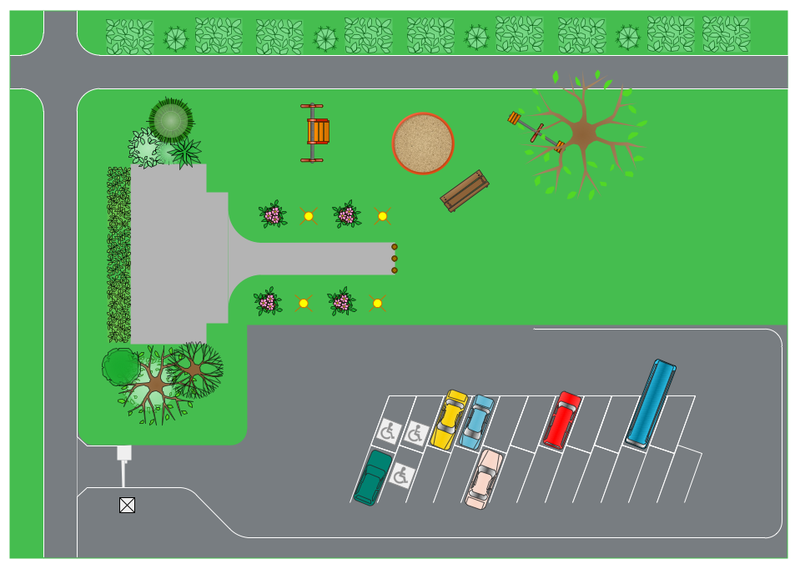 The site plans and landscape drawing designed with ConceptDraw DIAGRAM are vector graphic documents and are available for reviewing, modifying, converting to a variety of formats (image, HTML, PDF file, MS PowerPoint Presentation, Adobe Flash or MS Visio), printing and send via e-mail in one moment.